Although there are specific degrees for banking and finance there are no specific qualifications needed for entry level banking jobs. A career in banking can begin with high school certificates; usually A level certificates are sufficient. Graduates can apply for trainee management programmes, which are an excellent first step into a banking career. A career in banking offers good prospects for those with an aptitude for finances. Management positions are well paid and the work can include travel and many company benefits. A banking career is no longer just about sitting behind a window dealing with customers; banks now offer a whole range of different products and services. If you have never thought about a career in banking and are considering some form of finance based study then taking careers advice would be beneficial. A banking career can be started with a minimum of qualifications. Good passes in A level certificates are all that is needed for entry level jobs. Once you have your foot in the door you can progress to up the banking career ladder rapidly if employers see you have the skills and ability for a financial career. Employees that are seen to have management potential will usually be given in-service training. Talented entry level banking employees can also be placed on accelerated management training courses. Banks will employ graduates with degrees in a variety of different subjects. However, graduates that have degrees in accountancy, banking and financial services, economics, or law degrees may find they have a particular aptitude for a career in banking. Graduates who apply for trainee management positions and are successful will be placed directly into the management training scheme. These are rapid training schemes are designed to have graduates management trained in a short time. There are a wide range of financial degree courses available to those that are considering a career in banking such as Banking and Finance degrees and Business Management. Those wishing to apply for these degree courses will usually need three A level certificates. Two standard grades are also usually needed and these will usually be in Maths and English. These entry qualifications are never set in stone and talking to a university or college advisor will be helpful. Older people may not be required to have these educational certificates if they have a number of years of relevant work experience. 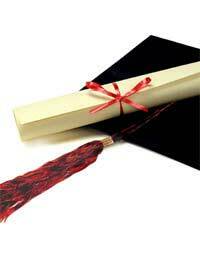 Degree courses will usually last between three and eight years depending on the course and graduation level. There are other options available when studying including home based degree courses such as The Open University. Part time study will usually take longer to complete but this is down to the student and their existing commitments. Students can gain financial qualifications through night classes and these are a good way to study while continuing to work during the day. Any career planning should include training and development factors. There are a range of educational qualifications that will help with career progression. There are a number of vocational qualifications available such as the Certificate in Financial Services and the Diploma of Financial Services. Any banking career planning should include researching material from official bodies such as the Financial Institute of Bankers. If you already have an entry level position within a bank then gaining these financial certificates will help with developing your career. There are a great many different banking jobs available including sales jobs and Internet banking. Career progression will not just be dependant on educational and vocational certificates but they will be recognised as a sign of career commitment by employers. Hi there .. I’m married since 7 years and I need to persue banking as a carrier. How can i continue.. What should I start firstly.? I m student of b. SC 2nd year...What post is available for in banks? hlo! I am doing my third year in B.ScMaths. Please would you say which is the opt Post Graduate degree for me to join in Banking sector? Hi im a certificate of high school i likt to work as a bank telle need an advice of which subject i have to study at the college. Hi i'm Topupa , i'm a boy 14 years old 2 years later I am going to be 16 year old and in 16 years old I want to do bank job but purt time. Than when i'm going to finish my university i'm going to do full time. I just want to know what subject I have to study, and how much a student have income a week and how can I apply for a bank job? Writed by Topupa. Please give the answer on my mail. @Sonia - I think the best thing to do is to apply for job. Or get into a bank via the customer service route and then apply for jobs internally. If you can prove you're good with figures, then you shouldn't have a problem. is there a height requirement in pursuing a banking career here in the Philippines? Hi all, I'm Chris. I graduated with a degree in Economics with Banking in 2009 but due to the economic downturn at the time, I did not find work, but instead, I set up a retail company which I'm still running now. My problem is that I would like to practice in my field of study and use my qualification. My main obstacles are that I do not have work experience in the field of banking and finance and also my age (early 40's). Any advice as to how to proceed please.? Thanks very much. Hii!! Currently I am doing b.sc..this will be my last year of b.sc...would you please suggest me that is their any need to have maths as one of my two subjects to work in banks at good positions?? Hi,I've just recently completed my certificate in Banking and finance which job can suit me well,Thank you. Hi I need to know which degree or qualification needed for UK bank job.I just finished my O and A level. As there are various jobs within the banking industry, you can search for your preferred role via the gov.uk link here . This will tell you what qualifications you will need for your chosen profession. Hi I need to know which degree or qualification needed for UK bank job..I just finished my O and A level..
i have studied B.Sc with computer,maths and statistics as main subject. can i be eligible to work in bank or which course to be studied to work in bank. Which are the exams to be written to get job in bank? Hi I would like to study to work in a bank in the UK. I didn't do any ALevel so I would have to go to a college since I'm 23 and then to uni. Any advise on what to study? Thanks! If, as you say, you are fluent in English, then potential employers will be able to ascertain whether you have the correct English-speaking requirements at interview level and therefore it shouldn't pose any problem. Initially, it is your skills for the job that your employer will be more interested in. Good luck in your applications. As we are a UK-based site, we only have advice on UK-based qualifications needed. Eligibility may be very different in your country, so you will have to try and find this out locally to where you live. Hi there, I have a degree bechulor in commerce.i am living in canada.i want to work in bank, so what kind of certificate course need here for bank job.